The Humble Strategy Bundle is a great way to get a few big strategy games on the cheap. The Humble Strategy Bundle, available now on Humble, has a pretty decent collection of different games from different strategy sub-genres. The Pay What You Want tier gets you Dungeon of the Endless, the Endless Space Collection, Planetary Annihilation: Titans, and DLC for Company of Heroes 2 in the form of the Whale and Dolphin Conservation Charity Pattern Pack. Beating the average, currently at $6.95, expands your haul with the Empire: Total War Collection, Endless Legend – Classic Edition, the Tempest DLC for Endless Legend, and a 66% off coupon on Total War: Warhammer (valid on the Humble Store). 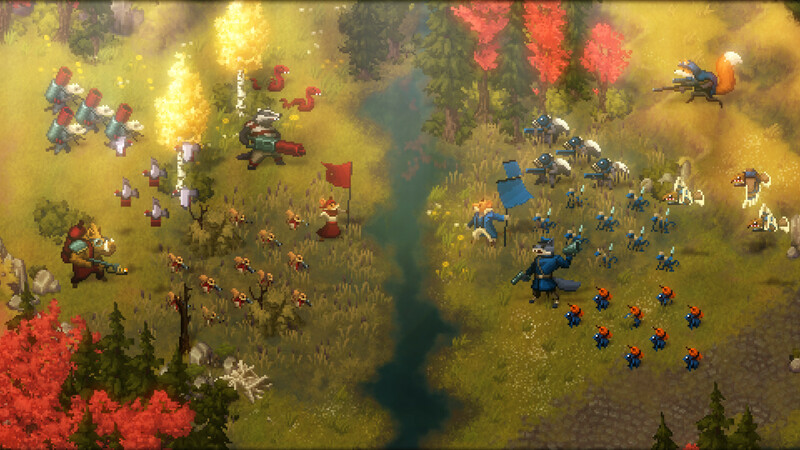 If you’re feeling generous, the $12 ultimate tier gets you all the above, as well as two recent releases in Endless Space 2 (which we happen to like), and the unconventional strategy game Tooth and Tail. You also get Austin Wintory’s Tooth and Tail soundtrack, which should really be all the encouragement you need to jump in. Just head over to the Humble Bundle page to grab it. It’s available from now and for the next 13 days. No new games will be added, though, so no reason to wait.